Time for a lifeline. I'm not going to write about today's topic as my day is looking to be too busy to accomplish its goal. Instead, I'm using a lifeline. That is, choose a topic from a list provided by ThinkKit. So, I'm going to write about my favorite new or old band discovered in 2012. This excludes my favorite albums from bands I already listen to, which would alter my choice (Pig Destroyer's 2012 release, Book Burner. Anyone? Bueller? Anyone?). First, a disclaimer. I did not grow up on punk rock. I do not live the "punk rock lifestyle", whatever that means, and I don't aspire to. I don't try to sit here and say I listened to Black Flag and Minor Threat when I was a kid. Growing up, we were rather isolated and left to the devices of MTV. Rancid and Blink 182 were about as punk as rock as I got. For me, it was almost all metal, grunge, Stryper, and Weird Al Yankovic. It was only years later when I moved into punk, primarily because this is the music genre that is still producing exciting, mostly original work. I love sing along gang vocal choruses and usually lots of beats per minute. So, punk rock is in pretty heavy rotation these days. 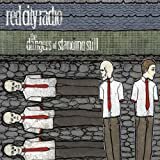 With that introduction out of the way, the new band I really got in to this year was Red City Radio. In particular, I really got some mileage out of their EP, "To the Sons and Daughters of Woody Guthrie", as well as their full length, "The Dangers of Standing Still." There are some really inspirational lyrics and ideas in these two releases. I know punk rock isn't for everyone, but I encourage you to at least read through these lyrics and understand that they speak to a mid-30s midwesterner still trying to figure how he's going to step up and significantly contribute to his community and country. Someone who's not sure what he wants be when he grows up but at least knows what he's done to date probably isn't that. While watching these videos, look past the lead singer's hat. Apparently it's his signature thing. For some reason it kind of gets to me after I see it on him in every single video or picture. .
Stryper rocks! Great entry to the Think Kit library. Your journey to punk rock is very similar to mine. My introduction in high school was to Green Day and Offspring like everyone else. My curiosity to discover old music from these new bands led me to Lookout and Epitaph's labels. I was sold on punk once discovering Rancid, NOFX and Screeching Weasel. It didn't take long that my CD collection was full of bands like Ten Foot Pole, Pennywise, Guns n Wankers, Jawbreaker or Dag Nasty. I have never lived the "punk rock lifestyle", I have no tattoos or mohawks, but I will always consider punk one of the top genres out there. That and 80's hair bands! 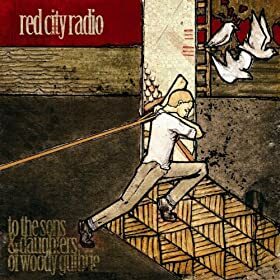 Thanks again for the great post and the tip on Red City Radio...pulling them up on Spotify now. Great to hear that I'm not alone! I do have a soft spot for Stryper. I've still got 3-4 cassette tapes and have since picked them back up. Sure, the ballads are a little too sugary sweet for me, but the rest is really pretty good, from a hair metal perspective. It seems like you're like me in that Poison, the Crue, and so on have a soft spot for you which creates a soft, nostalgic spot for a band like Stryper.